How would you judge the quality of the testing process within any application development? In most cases, the application will eventually get into production whatever the test regime, but the quality of testing will more directly affect the time it takes to develop and test the application, the number of people required, the volume of change requests that were initiated during the project and the number of problems encountered after the application was deployed to production. Test quality matters. Regardless on how complex the system is, or however many people are assigned to the testing activities; the quality of testing is determined by the preparation, by which I mean the actual planning and preparation of each test stage. To make this preparation effective, the governance of any IT project must involve the testing team from the beginning of the project. Testing teams have a strong role in the initial governance process in the project initiation stage. Much of this work is done before development team’s start on the delivery of the application. Because testers have the mind-set and training to find inconsistencies between the business requirements and the specification of the application, they are well paced to do static document review; to identify obvious gaps in the specification of the requirements, to check for inconsistencies in the requirement documents and models, and to understand the requirements and solution early enough to prepare effective testing strategies and test approach. Testers can also assist with estimating and quantifying project timings and resource requirements by bringing their experience and knowledge of the test process. The test plan needs to be assembled and documented, and agreed with both business and technical teams. In most large development projects, the testers are brought in to the team far too late. In one banking project that I was involved with, the testing team was brought just before the design of the project was completed. This gave very little time to prepare for the testing cycle that involved the system tests, integration tests, user acceptance tests, operational acceptance tests, and disaster recovery test. The system was supposed to ‘go live’ within six months, but instead it took more than a year to complete testing. When it went live, it did so without us having the time to conduct operation acceptance or disaster recovery test. So, what went wrong? The testing team joined the project after the requirements had been signed off. When they arrived, the design and build process was under way. Without expert input, management had under-estimated the scope of testing and the resources that would be required. Throughout development, there was constant demand from the business for change requests, and the test team was overwhelmed with the task of identifying and documenting gaps in the solution in addition to plain bugs. When faced with this unexpected task of having to identify the many areas where the application failed to meet the needs of the business, I had to reevaluate the entire test approach. Just to complete the functional test phases (System, System Integration and User Acceptance Test) and to gain business sign-off, we had to increase the testing resource by pulling in more business representatives. We also had had to make the difficult choice of reducing the test coverage. This meant agreeing with the business which was the critical functionalities that had to be verified before the system under test could be moved to production. This meant that we then had to gain agreement with the key business stakeholders that we would test other areas such as Disaster Recovery within a specific time frame after going live. This could have been avoided if the testing team were assembled and represented as part of the project initiation stage. This would have allowed the testers to warn of impending problems before they became expensive mistakes. In this case, they would have been in a position to identify the mismatches between the application specifications and the business requirements before development started. Another testing project I also managed was an SAP Global Template (GT) for a Biochemical organization. I was consulted as a testing subject-matter expert, providing testing frameworks, governance, control, and strategic process to the entire team. The project had several layers of delivery teams from an implementation partner who was responsible for core SAP modules, several other third party suppliers’ who were responsible for additional solutions such as vendor invoice management and printing barcode labels and on top of that, the inevitable legacy applications that needed to be integrated with the global template applications. The GT application, 3rd party applications and legacy systems were all passed through Quality Assurance (QA) in a test environment before promoting the system under test to production. As part of my approach, I established a core testing team that was staffed with a mixture of business and technical people. With this team, I conducted a static review of requirements and identified potiental gaps between the planned functionality and business requirements before we started creating the test cases. Although this approach was helpful in identifying test conditions and coverage, and allowed developers to bridge the gaps, it was not by itself sufficient preparation. For preparing the individual test cases, and for mapping out the test conditions and coverage, we used a wide range of test-design techniques. These included a mix of black-box, white-box, experience and risk-based approach to ensure there was adequate test coverage. Each of these test design techniques were concurrently used for each test phase. The testing cycle that we adopted was incremental, even though the project was based on a V -Model delivery approach; by doing this, we were able to concentrate our testing efforts in stages as development was completed while giving us the flexibility to change aspects of the initial design in response to the wishes of the business during system integration. By the time we got into User-acceptance testing (UAT), the business was adequately aware how well the solution matched the requirements. Once test execution started, we produced a daily testing report that highlighted the test execution plan against the actual result in terms of the defects logged, assigned, fixed, retested, and closed. This was produced for each test phase. We then released a final Test-Closure report which was used to sign-off the current test phase before we moved on to the next. This SAP Global Template (GT) Project was a Green-field implementation within the organization, rather than a replacement. This affected the way we needed to approach testing. As part of my overall test approach and the deployment release plan, the initial release testing was a manual process, and then the subsequent releases were a mixture of manual and automated test. It is always more efficient to automate tests that must be re-run, but I opted for this more manual approach mainly because the solution was new to the organization and we were able to contribute to the training process of the organization by also performing the manual tests at the beginning. It also increased confidence within the business that the solution met their requirements before moving it to production. In my experience, having a mixture of manual and automation test is most effective but it is important to judge, at any particular point in the test process lifecycle, whether a manual or automated test is more appropriate. There are various aspects to this decision: Automation testing is useful if your team or business that will eventually be using the application processes does not require an end-to-end training and if the system under test is not entirely a new development. Although automation is also the most effective and efficient way to conduct regression testing when a previous change release has gone through other test phases, for example, system integration and user acceptance. The new change being introduced is first tested in a QA environment before being promoted to coexist with other systems in an environment that is most similar to production, called ‘Pre-Production’ or ‘Pre-Live’. The release is then verified in its wider context before it is promoted to production as part of ‘business as usual’ activity. Similar to a project management process, quality testing has to be implemented through effective planning, coordination, execution, control, reporting and closure of each test phase. During each test phase, the below six interchangeable defined testing process stages are required in order to initiate, manage, control, monitor and report testing activities. Requirement documentation: this provides clear description of what the business requirements are and what exactly is the business objectives including what the business hope to achieve. This is important in order to clearly define the overall success criteria that the business will use to measure the exit criteria during user acceptance testing phase. Solution documentation: this is typically used by all the teams within the project to verify that the system architecture and system integration were fit for purpose and were not detrimental to the existing IT infrastructure. A test approach expands further on what was documented in the test strategy. For instance, it will detail how testing activities will be carried out, and mention whether there will be possible manual or automated tests included. During this process, a testing team will also conduct static document reviews. This aims to identify any bugs, inconsistencies or defects before the build of an application. A testing team will typically review requirements and solution design documents to identify what sort of test phases to conduct. When performing test analysis, a testing team checks the test basis (requirements) to see if all the required documents are detailed and accurate enough to be able to derive the test conditions from them. The development of the Test Execution Plan helps to document how and when the test cases and procedures (scripts or steps) are to be run. 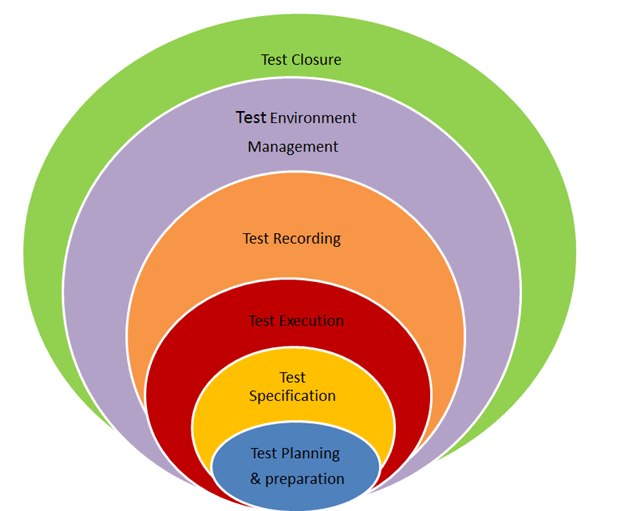 During the test specification process, a testing team could utilize any or more of the several test design techniques to formulate their test cases. The techniques may include; static reviews, equivalence partitioning, user story, experience-based, risk-based, structured based or defect clustering to determine the coverage and prioritization of testing effort. The test plan will describe the work required to carry out the test according to the priority per the planned amount of effort. Once test cases and scripts are created, the testing team should ensure traceability between test and requirements are always maintained from the testing tool. There are various testing tools available in the market today that you can use during test preparation, managing, execution and reporting. Manual data -we, while testing, will manually input information or records in testable fields, thereby formatting a manual collection of data log or self inputted data sets by a tester. Scrambled, masked data sets – Testers would request such data set from the technical teams, this is a cut of production like data which are scrambled up in order to protect the real owner of the data. This is usually done to meet data protection act. Real production data – this is loaded from production as it exists without any scrambling or masked activities. The use of any of above type of data is usually subject to the type of testing requirement or scope identified during the preparation and specification stages. Most of the testing projects that I have managed require a QA, Pre-Prod and Production environment in order to validate and enhance the overall quality of the system under test before promoting into a live environment. There is usually a need for a separate environment for business as usual (BAU) test validation and verification activities. Most of the organizations for which I have worked at as a test manager tend to base their setting up of environment on the complexity of the system landscape, demand, capability & resource management between projects and continuous Business As Usual (BAU) activities. Here are some of the typical types of environments and their usage. Development Environment (Dev.) -This is a developer’s environment where design and build activities are carried out and unit tested before being promoted to an actual test environment. Sandbox Environment – Testers and developers or project team members have such an environment for training purposes. Just as the name implies, it is a playground area to try several development or testing techniques to build confidence before moving further to a dev. Or QA environment. QA Test Environment – This is the initial environment to which systems, or applications that are under test, would be promoted after development work is complete. In this environment we carry out the individual components of the test as well as integrated systems verification. Testers use a QA environment to verify and validate the deployed solution. Here testers have an essential role in building confidence in the system under test before it is introduced to the business or end users. Pre-Production Environment – A pre-Production environment is usually required for performance test, User Acceptance, Regression and Operational Acceptance test. This is because an environment which has similar infrastructure, master, reference data & transactional data sets; fully integrated systems and application is required to effectively verify the solution before deployment into production an. It is expensive to set more than one Pre-Production environment, so the QA environment is merely used to validate the developed system in isolation rather than within the context of the organization at large. We also use Pre-Production as the final check points for ‘Business-as-usual’ releases before production deployment. Disaster Recovery Environment (DR) – An environment dedicated to run disaster recovery test to validate the disaster recovery plan, has to be able to realistically simulate potential or system failures that are capable of resulting in possible fallout. More and more organizations are not able to effectively establish a fully functional DR test environment because of the huge cost of maintaining such an environment in terms of staff and infrastructure resources. Where there is a gap, the Pre-Production environment can be used. Production Environment – This is a real live environment with the real transactional flow of data, real customers carrying out day to day operational business service activities. When there are some potential critical hot fixes, these could be applied directly into production, but a retrofit on other environment should be performed. Business as Usual (BAU) Environment – A dedicated Business as Usual test environment separate from project codes or releases testing is required to test production like changes that the business users have requested. The use of the BAU test environment needs to be carefully planned in conjunction with other project team members like a release or change or an environment manager who will ideally organize the delivery of various BAU application releases based on the development team planning schedule. Test execution is the action of running the test cases and procedures (scripts or steps) in accordance with the test execution schedule(s). It involves analyzing the results, comparing the actual results with the expected results, logging the results, and raising defect reports. This will help to demonstrate that the product is able to satisfy the stated requirements: The requirements are specified in the objectives of the test cycle or level as defined in the test plan. As part of Test Execution, we need to monitor the defect management process, re-test fixes and do regression tests. As part of these activities, we have to update the execution schedule(s), traceability matrix, and test plan(s). As a test manager, I am determined to find potential defects in test before they get into the production application. Whether you are using Excel, a testing tool or application lifecycle management (ALM) tool, there are certain common statuses and sub-statuses listed below that provide clear indication on how to categorize defects, this I find helps developers and project teams to fully understand the types of issues associated to the system under-test. As a confirmation that a test phase is completed, a testing team will issue an “End of Test Closure Report”. I have typical included the in and out scope items under the test, the amount of test cases, and amount of defects found. Also in my end of test report, I have included the open defects per severity, any identified workaround, a process to transition defects as part of service operation, and a lesson learned report for potential process improvement. Similar to a project management, where initiation, design, controlling, monitoring and reporting are a part of the process, whatever methodology you decide to use for application development, it is important that testing processes are introduced, implemented, managed, monitored as part of the overall governance process at the beginning of the lifecycle, rather than being introduced after development has started. Not only does testing require meticulous preparation, but test teams are also well-placed to monitor and check the delivery of business requirements, ensure project plans are aligned, strategies, and technical documents that are essential for the timely delivery of application to any organization also quality checked. The objective is to identify requirements and any design gaps in the specification that, unless caught early on, will cause excessive changes and problems in delivering the complete functionality. It is a known fact that the earlier potential defects are found the less costly they are overall as compared to finding defects much later in the game when you factor in time, delays and contributing efforts it will take to fix such defects. The test process is far easier if there has been adequate preparation and the necessary documentations are employed earlier than later in order to effectively deliver a testing project. 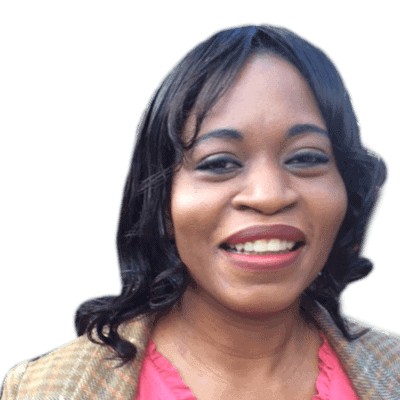 Doris is a testing subject matter expert with over 14 years consulting experience in project, test, release and quality control management capacities. She has delivered testing activities for some complex global information management systems and continuous testing capabilities for several companies. Doris is currently working as the Centre of Excellence Testing Programme SME for Johnson Matthey, a global sustainable Biochem company in the UK, she was previously the Quality Control Manager for one of the world oldest private investment bank C. Hoare & Co in the UK. This is a well articulated piece. This information is very useful in achieving quality end 2 end testing. Detailed and easy to understand which I believe has come from her years of experience. As a DBA Team Lead, I have for years find it all but impossible in getting the importance of testing right across the various phase of a project or a deployed solution lifecycle. Testing is always the Cinderella phase of all the projects I have worked on and then comes the handling of post-live issues, change request / management and BAU operations. No matter what project methodology – Agile (Scrum) , SAP – ASAP, or Lean six-sigma. Whenever a project timeline seems tight or estimated to exceed planned budgets, testing is always the first to get slash until issues with post-live stability and performance of the solutions results in a fire-fighting to satisfy the intended end user community. So Ms Robinson, a big thank you, as this article will from here on out, act as a reference guide to both my team and all key stakeholders I liaise and work with going forward. I look forward to reading more article(s) on Testing from experts, such as yourself in the future. Meeting The Project & Testing Dead On!!! A good article! Very informative! I find that once applications are migrated to a test environment, different types of testing are performed including integration and system testing. Let’s not forget User acceptance testing which is primarily the last part of the test cycle that’s performed by the end users to ensure the system does meets their expectations. At this point, defects may be found and more work may be required in the analysis, design or coding. Once sign-off is obtained by all relevant parties, implementation and deployment can begin. You’ve made some key points that I can surely relate (1) the concerns of budget demands and meeting deadlines (2) ensuring the team comprise of qualified testers. A proactive idea to bring on both business and test analyst on-board at an earlier stage in the project to make for a smooth workflow and meeting these deadlines on spot. Keep up the good work Doris Robinson. This will be a great reference project methodology. Very nice! This article is well written by Doris. It’s an article that is truly fit for all professions – the reason I say this is that the Testing Arena the article focusses on points towards the “Pursuit of Excellence”. It touches on the methodical approach one needs to exemplify in one’s profession – For me, I work as an Oracle DBA Consultant in Atlanta, GA…and this article’s outlined guidelines if followed methodically (as it relates to one’s project) is a format that will lead to success for many projects. I have read the article twice and reading between the lines – it will most definitely help me in my upcoming project. This is an excellent article written by a very able and capable test guru. If you are testing anything , use this as a guide and you will not go far wrong. Excellent work Doris.! I am using pcloudy (www.pcloudy.com) for mobile app testing both manual and automation. is it good to do ?